In December of 2011, critics across the United States and Great Britain were surprisingly restraint in their criticism of the new film Tinker, Tailor, Soldier, Spy, based on the John le Carré book. 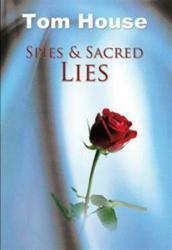 It is into this category of books that author Tom House adds his novel Spies & Sacred Lies (published by AuthorHouse). Spies and Sacred Lies is a gripping spy and murder thriller involving the Vatican, British and international intelligence agencies, and a German Nazi organization headed by a Nazi war criminal. All get involved eventually in the search for a document believed to be Jesus’ last testament, thought to reveal sacred lies dating back to the early days of Christianity. The central character is an ex-British intelligence officer, a Scot now working with an international intelligence agency. His activities lead him from murder investigations to involvement with Islamic and ultra-right wing extremists. His enquiries lead him to secrets that are of great interest to the Vatican, whose agents won’t stop at murder and destruction in order to get their hands on them. Investigations take place in Britain, Germany, Israel, Syria and the Lebanon, involving the activities of Syrian, Israeli and Western secret intelligence agencies. Tom House was born in Scotland. He was a member of the British Intelligence Corps working in central Europe during the Cold War. He went on to spend a couple of decades working in research and development as an analyst and systems programmer, initially with German and American computer companies in Europe and later on with his own company in Germany. He is dedicated to writing and is deeply involved as an honorary council member of a German Polio Fellowship in support of the European Polio Union.